Sony India has launched its Android phablet, Sony Xperia Z Ultra in India market for the hefty price of ₹ 46,990. 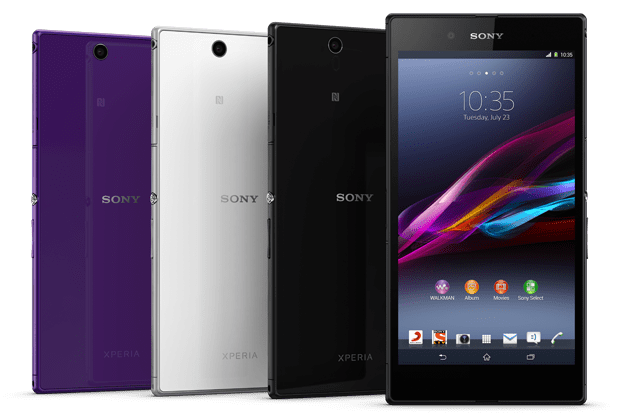 The new Xperia Z Ultra is waterproof and dust resistant device which has 6.4-inch Full HD TRILUMINOS Display, 2.2 GHz Quad-Core Qualcomm Snapdragon 800 processor CPU, 2 GB RAM, 8 MP camera with Exmos RS for mobile sensor and HDR for photos and videos. The phone is just 6.5 mm thinner and weighing just 212 grams. The phone is perfect to take notes using Notebook or Sketchbook. You can use any pencil and selected stylus or pen with a tip diameter over 1 mm. The phablet runs on Android 4.2.2 Jelly Bean and it will soon upgradable to Android 4.3 Jelly Bean. The device powered by 3000 mAh Battery. The phone offers 16 GB of internal memory and it supports MicroSD card up to 64 GB. Sony partnered with Gameloft to preload Asphalt 7 in Ultra Z. Sony India also partnered with Vodafone to offer 8 GB of free 3G data. The Sony Xperia Z Ultra is priced at an MRP of ₹ 46,990 and it would be available from August 2nd. The phone will be available in black, white and purple colors.